John Craven was born in Leeds, West Yorkshire and started his journalistic career as a junior reporter on the Harrogate Advertiser. After a spell with the BBC in Newcastle-Upon-Tyne, he first hit our TV screens in his psychedelic shirts and jumpers when he transferred to Bristol and presented his first network series, Search - a current affairs programme for children and enthusiastic youngsters aired their views. The success of this particular series led to the creation of the show that was to make him famous. In1972, he made television history presenting the first BBC news programme specially made for children – John Craven’s Newsround. John helped to shape the show. Wearing informal clothes and sitting in front of his desk, he explained the news clearly and simply enough for a 9-year-old to understand. The show was an instant hit, and its six-week trial period was extended indefinitely. The programme is still running today, though Craven left in 1988, citing as a reason the fact that "by then, everyone else in the office apart from me had watched Newsround when they were young!". He had presented every edition except one for the first 14 years (the only day he missed was when his wife gave birth). John’s easy, straight-talking style led to him becoming part of the team presenting Multi-Coloured Swap Shop in the mid-1970s, along with Noel Edmonds, Keith Chegwin and Maggie Philbin; and later, to Saturday Superstore with Mike Read. In 1989, just days after announcing his departure from Newsround, John made the move away from children’s TV and began to present Countryfile, tackling rural and farming stories from Foot and Mouth disease to the ban on fox-hunting. Having been associated with one programme for so long, it appeared a strange move to take on such a different show as Countryfile, but Craven took to his new job quickly - it suited him to a tee as it got him out into the countryside he loves so much - and has become a much-loved presenter in his new role, which he has now been doing for longer than he did Newsround! Still investigating controversial issues affecting our countryside after 40 years in television, John has been awarded an OBE for services to rural and children’s broadcasting. 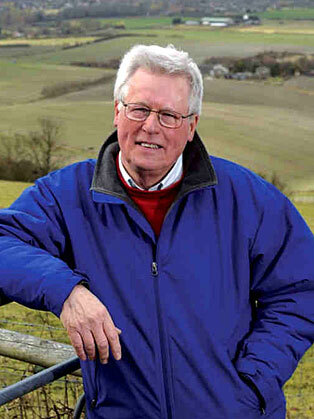 John was awarded an OBE for services to children's and rural broadcasting. The Royal Television Society inducted him into its Hall of Fame and awarded him its prestigious Baird Medal 'in recognition of his outstanding contribution to television'.